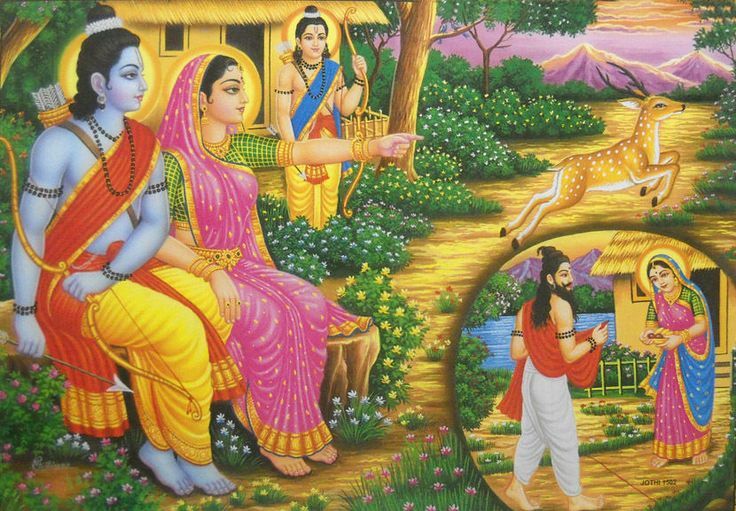 The main reason for happening of Ramayan is Sita got lured by the sight of golden deer and forced Rama to leave insearch of it. As Rama didnt return and Sita heard the voice of Rama for help, Laxman had to leave. 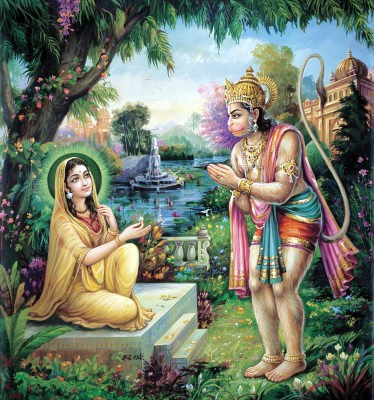 Seeing this time, Ravan disguised himself as a saint came for alms near Sita and he succeded in taking away her. The golden deer is Maricha named demon . He copied the voice of Rama when he was shot by Rama. Maricha was a demon who in earlier times, was giving trouble to saints by not allowing them to do their rituals. 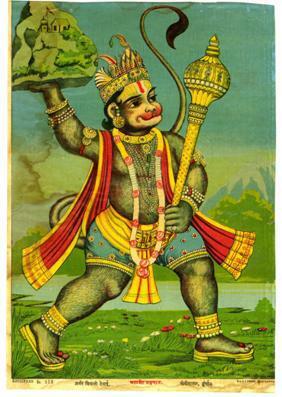 Saint Vishwamitra had called Rama to punish this demon. Rama succeded in defeating the demon. Maricha then had retrieved from the scene. But he is the close relative of Ravan. 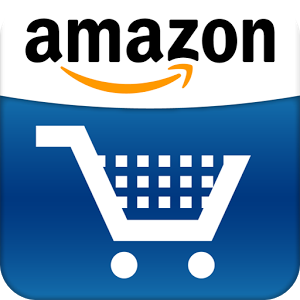 When Ravan approached Maricha for help to defeat Rama, Maricha cautioned Ravan against this. Since he knew how brave Rama is.But Ravan was not ready to listen. Disheartned by the words of Maricha, Ravan threatened Maricha that if he didnt do the work as told by him, then he will kill him. Maricha thought for a while. 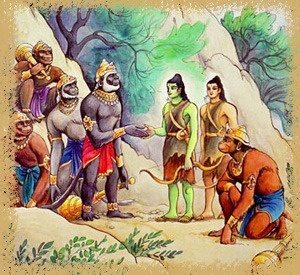 He thought instead of dying in hands of Ravan, its better to die in hands of Rama. 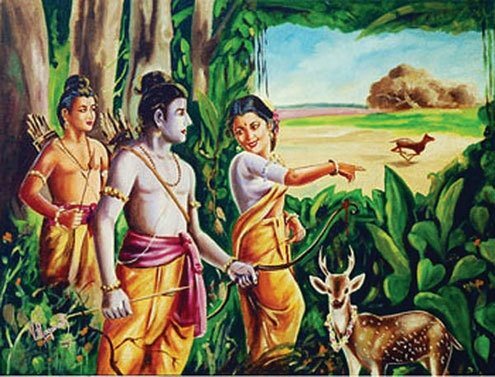 Thus, he agreed and disguised himself as golden deer and lured Sita and finally was shot dead by Rama.